RICHMOND, VIRGINIA – June 5, 2018 – The Project Haystack Organization (www.project-haystack.org), a collaborative community addressing the challenge of utilizing semantic modeling and tagging to streamline the interchange of data among different systems, devices, equipment and software applications, today announced they have published the fourth issue of their Connections Magazine. The Connections Magazine Spring 2018 issue reports on the latest news from the Project Haystack community from around the world, since their previous Fall 2017 issue. The Spring 2018 issue documents how fast the evolution toward smarter buildings can happen once building operational data has been tag-enabled. Both IT and OT contingents are recognizing that metadata tagging is key to clearing hurdles related to ease-of-use, unified data flow, edge-to-cloud, data security and even adhering to new GDPR data privacy rules. Not to be missed is the fact that the storytellers in this issue, especially those that were interviewed in the Conversations section, are not solution vendors, but are from the ranks of design engineers, commissioning experts, smart building consultants and largeportfolio property managers. The 46-page Connections Magazine Spring 2018 issue includes interviews with James McHale of Memoori Research, Energy Consultant Jim Meacham of Altura Associates, Design Engineer Ruairi Barnwell of the DLR Group, Property Manager Sarah Boll of the State of Utah, Division of Facilities Construction and Management and Project Haystack Member Scott Lanigan and Craig Payne of Intelligent Buildings. Articles were contributed by Patrick Coffey of VRT Systems on how Haystack Tagging is improving the occupant experience, and Ken Sinclair of automatedBuildings.com contributed “Tagging All Internet Things”. This issue also includes updates on their technical resources, Project Haystack Working Groups, as well as the Project Haystack Organization roster of members. While building systems have been the place where Project Haystack gained traction and adoption, the Haystack methodology is not just about HVAC, temperature sensors, fans, meters, and building systems. The Internet of Things is bringing diverse smart devices into homes, high-rise commercial buildings, industrial facilities, factories and agriculture. As smart devices proliferate into solutions no one could have ever imagined even a few years ago, and come from different suppliers around the world, the need for Haystack’s data tagging methodology has become even more critical. The Project Haystack Connections Magazine Spring 2018 Issue is available for download at https://project-haystack.org/forum/topic/616. 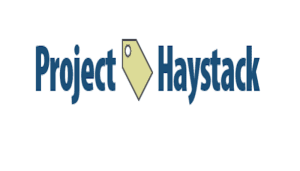 The Project Haystack Organization consists of Founding Member and Board Member companies Conserve It, Intel® , J2 Innovations, Legrand, Lynxspring, Siemens and SkyFoundry, Associate Member companies Accu-Temp Systems, Altura Associates, Arup, BASSG, Bueno Systems, CABA, Connexx Energy, Intellastar, Intelligent Buildings, IoT Warez, KMC Controls, KNX Association, Kodaro, sensorFact, Tridium, VRT Systems and Yorkland Controls, and numerous Haystack supporters involved in Working Groups. More information about the Haystack methodology, the Project Haystack Organization and membership is available at: www.project-haystack.org. The Discussion Forums can be found at: www.projecthaystack.org/forum/topic. About Project Haystack Since its formation in March of 2011, the Project Haystack Organization (a 501(c) non-profit trade association) has been providing the industry with an open-source, collaborative environment to address the challenge of making data self-describing using semantic modeling, also known as data tagging. The work developed by the Project Haystack member companies and community streamlines the process of managing, presenting and analyzing the vast amount of data produced by smart devices and equipment systems. The Haystack methodology can be used with virtually any type of system and device data and is not tied to any vendor or communication protocol. More information about Project Haystack is available at: www.project-haystack.org. Intel is a registered trademark of Intel Corporation or its subsidiaries in the U.S. and/or other countries.